The pair met in 2009 while shooting "The Last Song"
Miley Cyrus and her boyfriend of three years, Liam Hemsworth, are engaged, People magazine reported Wednesday. Miley Cyrus and Liam Hemsworth are getting hitched. The 19-year-old pop singer and one-time Hannah Montana is engaged to the 22-year-old "Hunger Games" star after three years together, the pair's representatives told People magazine. Hemsworth proposed last week with a Neil Lane-designed ring, People reported — an art deco-inspired design featuring a 3.5-carat cushion-cut diamond set in yellow gold, according to the "Today" show. The pair met in 2009 while co-starring in "The Last Song," filming an on-screen kiss together on their first day of shooting. Billy Ray Cyrus chats at the Hollywood premiere of "Joyful Noise" about Dolly Parton being Miley Cyrus' honorary godmother. How'd that come about? 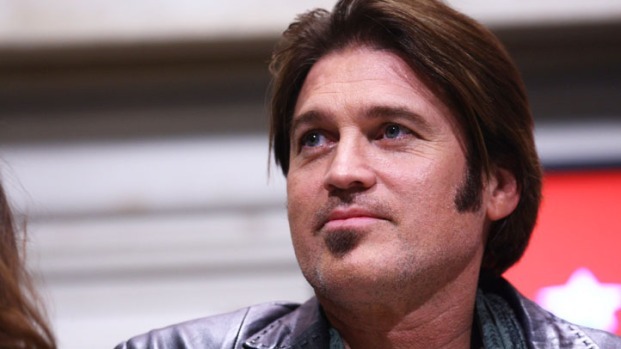 The "Today" show reported that Cyrus' family — including her father, country singer Billy Ray Cyrus — is thrilled for her and already considers Hemsworth a member of the family.